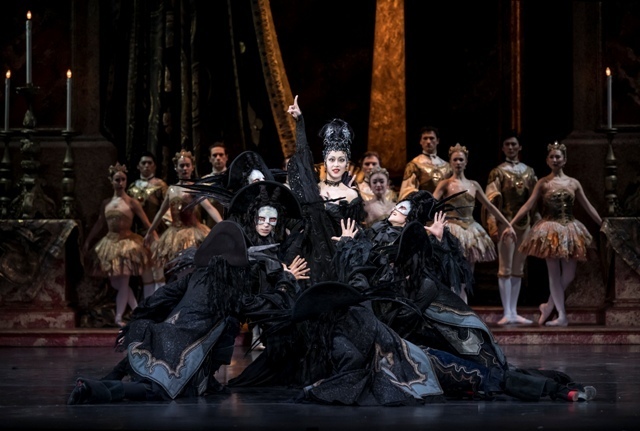 In this epic, grand fairytale from Birmingham Royal Ballet (BRB), The Sleeping Beauty in question - dancer Momoko Hirata - is far from drowsy, she's positively electrifying. 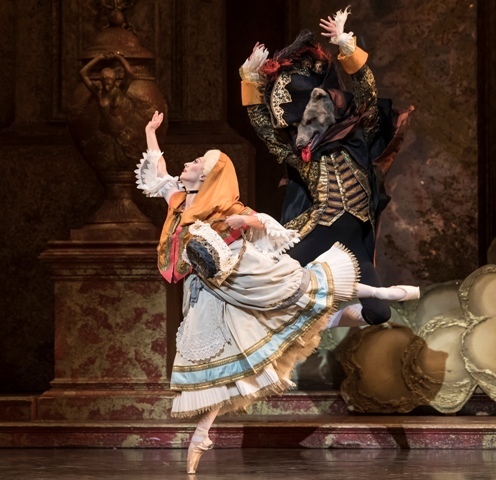 The Sleeping Beauty opened at Birmingham Hippodrome on February 13 and it stays there until February 24 when it continues on the BRB tour to The Lowry in Salford, Wales Millennium Centre in Cardiff and Theatre Royal Plymouth during March. This spectacle was created by famed choreographer Sir Peter Wright (the man also behind BRB's famous Nutcracker) in 1984 and still has the power to enchant audiences into a land of decadence. It's no wonder that the wardrobe of The Sleeping Beauty is the largest and most complex of any ballet in BRB's repertory. There's 66 wigs, 31 ponytails and 1 beard in the wig department, plus 40 rails of costumes including four rails of Princess Aurora tutus alone. Frankly, it's the bling of all ballets. Gold is everywhere, the costumes are a fashion parade that would make Vivienne Westwood proud, and the shimmering finale has gold dust raining down on the stage. 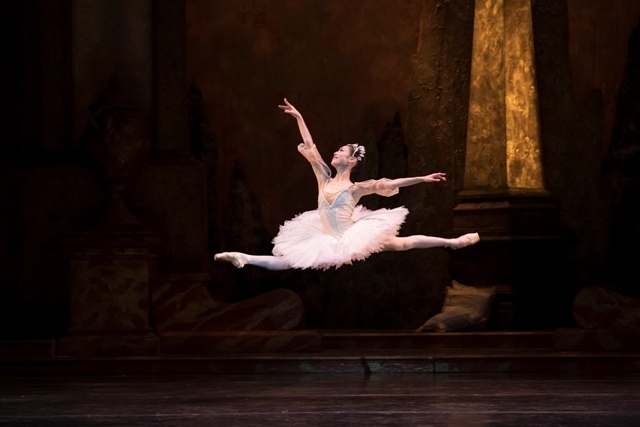 But shining bright from among all that opulence is principal dancer Momoko Hirata as Princess Aurora, who shows delicacy, poise and strength in her dancing. She has pinpoint accuracy and acute balance that makes the choreography of Wright, Lev Ivanov and Marius Petipathat appear breath-taking. There are actually nine of BRB's finest ballerinas who take it in turns in the lead role of Princess Aurora during the tour of this ballet, set to a classical score by Tchaikovsky. What BRB get so right is the ability to visually tell a story. The narrative, fantastic sets and detailed characterisations whisk you away to another land where witches, dancing cavaliers and princes seem so real. Following the traditional storyline of the Sleeping Beauty fairytale, this is an easy ballet to follow that children will enjoy and understand too. BRB also have special shorter performances for children and relaxed performances too if you want to try a taster session. 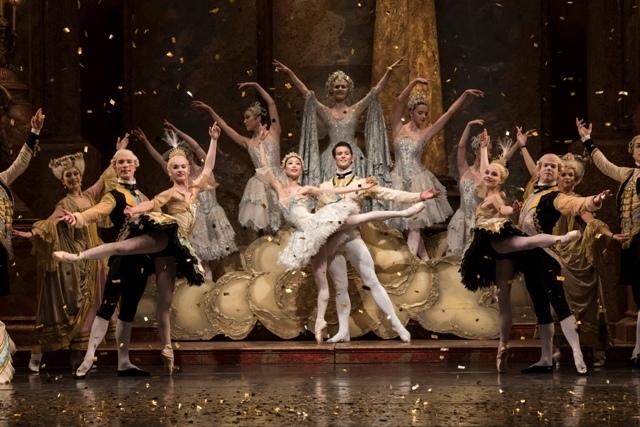 The story is wrapped up by the end of Act Two with a mesmerising pas-de deux by the prince and princess, but the final act makes way for a celebratory session at their wedding. This is where various fairytale characters are guests and have the opportunity for some delightful character dancing, in a similar vein to The Nutcracker. There's a playful dance between Puss-in-Boots and the White Cat; a piece of escapism from Red Riding Hood and the Wolf; and a delightful piece of dance between the Bluebird and the Enchanted Princess, performed beautifully by Lachlan Monaghan and Yaoqian Shang. The Sleeping Beauty is what dreams are made of. It's an enchanting journey into the happy ever after with more than just a touch of gold sparkle. Make sure you catch it while you can. Tickets are available from the box office on 0844 338 5000 or the Birmingham Hippodrome website.